"Avengers assemble!" 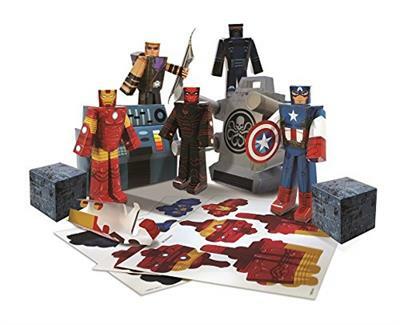 Bring your favorite heroes to life with the Marvel Avengers Figure Set. 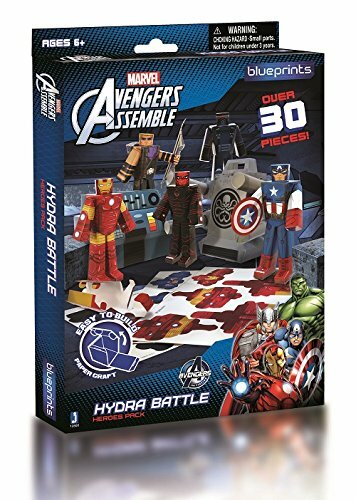 This pack contains over 30 pieces including: 5 Characters standing 4.5" tall (Captain America, Iron Man, Hawk Eye, Red Skull, and Hydra Agent) all with swinging arms and rotating heads, 3 Weapons that fit in the character's hands, 6 Hydra Lab Blocks, Hydra Computers, the Hydra Cannon, and a Sticker Sheet. 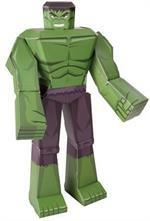 Papercraft figures are easy-to-build, punch-out figures that require no scissors, no tape, and no glue. The Paper Craft paper comes perforated, scored, and embossed. 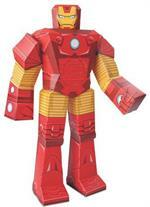 Build a classic character figurine in 5 minutes: from flat to assembled! Over 30 pieces. 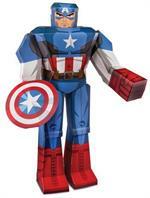 Our Paper Craft figures are ideal for ages 6 and up. 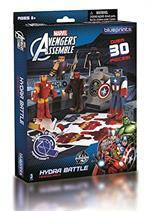 Assembles in 4.5" high figures.